I am getting organized again after being away for the past week. Earlier I went for a walk in Greenwood Cemetery, making sure to take advantage of the shade in these heat wave conditions. 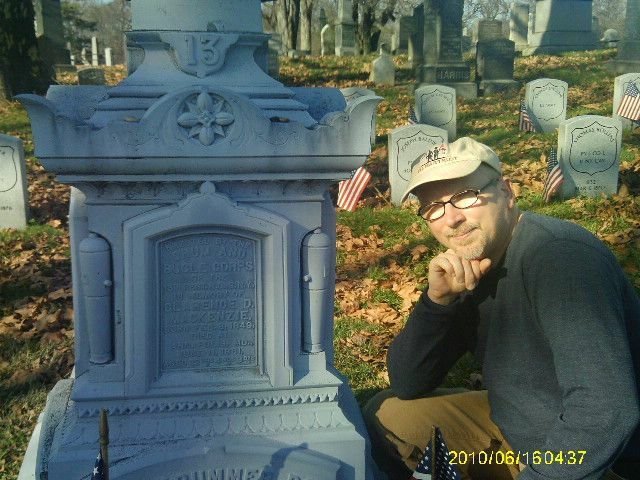 There is an interconnectedness between the two places; so many soldiers who fought at Gettysburg are now interred here in Brooklyn. You see it if you know what to look for. We really luck out at Gettysburg last week with the temperatures. When you are there all you want to do is get out and explore the nooks and crannies of the battlefield. Intense heat is not conducive such activity. The entire week we were there the temperature could not have gone above 80, and with low humidity. We left bright and early yesterday morning and it was almost ninety, and well over 100 by the end of the day. No, I don’t want that authentic of a battlefield experience, thank you very much. Going through the hundreds of email waiting for me in my inbox was this piece from the Miami Herald about Governors Island. I am glad the island is getting the nationwide recognition it deserves. It is truly a must see for people visiting the Big Apple. There are layers and layers of history to explore, along with great recreational opportunities. The cat is already out of the bag among New Yorkers. Attendance has increased year-by-year since opening to the public several years ago. You have three full months left to make it part of your summer. The Hayfoot and I returned from Gettysburg this afternoon. The last few years we have visited the week prior to the battle anniversary and it is always a special and meaningful experience. I intend to write more about it in the days and weeks to come. I intentionally left my laptop at home and have quite a bit in my inbox to catch up on as you might imagine. One thing that caught my eye was this lesson plan contest from the people at The Civil War in Art initiative. Yes, summer is now in full swing but teachers might find this an interesting and informative project to work on in preparation for to upcoming school year. For those unfamiliar with the website, The Civil War in Art: Teaching & Learning through Chicago Collections is a collaborative effort of various cultural institutions in the Windy City focusing on art and the Civil war. The Terra Foundation for American Art sponsored the project beginning in 2010 and has put a great deal of thought into the undertaking. Some of Chicago’s leading cultural institutions are taking part. Using paintings, photography, sculpture, and other media in the classroom is an extraordinarily helpful way to teach and learn history, and the The Civil War in Art has a great deal of material already on its website that will help teachers of all grade levels. Their website is quite thought-provoking and worth checking out for general readers as well. The deadline is August 15, 2012. Events will be keeping me away from blogging for the next week or so. Regular postings here at The Strawfoot will resume on July 1st. Wherever you are, enjoy your summer. The hows and whys involved in the creation of museums and national parks are fascinating. 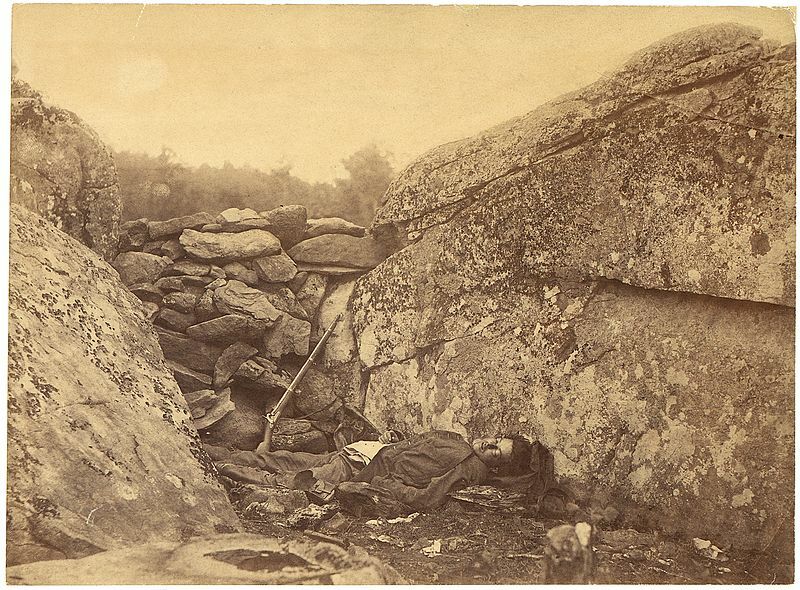 Often when people visit a historical site such as Gettysburg, Shiloh, or Antietam they merely assume that the current layout of the site was preordained. Nothing could be further from the truth. Take Shiloh National Military Park as an example. The historical site is about 4,000 square acres. The battlefield is where it is because two armies fought there, but the park developed the way it did due to to the political and economic vagaries of the late nineteenth century. Perhaps a farmer would not sell his orchard where hard fighting took place to the government. Or maybe a statue for some general had to be redesigned because the money ran out. Timothy B. Smith’s The Golden Age of Battlefield Preservation is the essential introduction to the subject. The same principles apply to natural sites as well. Horace Albright discusses the sausage making involved in the creation and expansion of Yosemite, Yellowstone, and other places in his chatty The Birth of the National Park Service. How do you make sure the Grand Tetons will be preserved forever and not subject to development? Well, you wine and dine the right people. When I was a volunteer at Ellis Island I became fascinated with the history of the immigration station. I am old enough to remember the renovation undertaken in the 1980s with the assistance of Lee Iacocca among others. The island ceased its immigration work in 1954 and sat, vacant and dilapidating, in New York Harbor for a decade. In 1964 Secretary of the Interior Stewart Udall recommended to President Lyndon Johnson that Ellis be declared a nation monument. 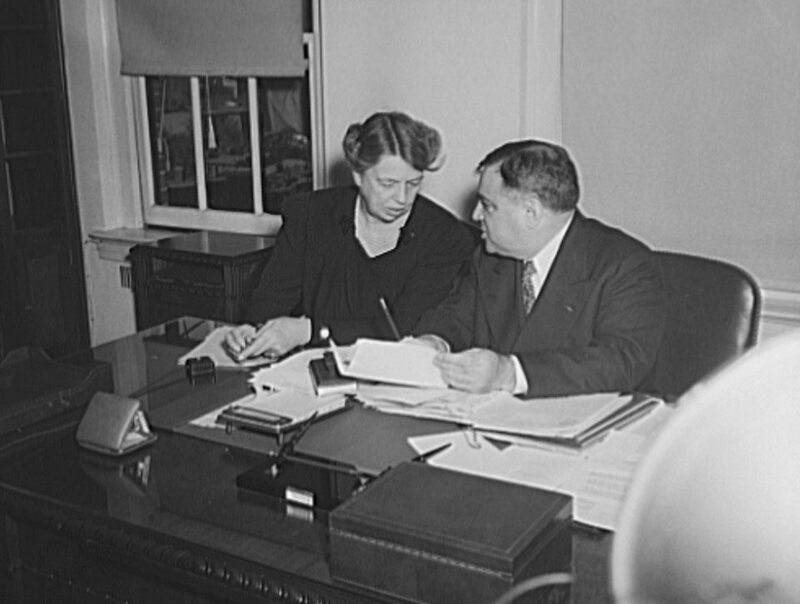 Johnson signed the legislation on May 11, 1965. One month later renowned architect Philip Johnson was commissioned to create a museum, and in February 1966 Johnson unveiled his design. 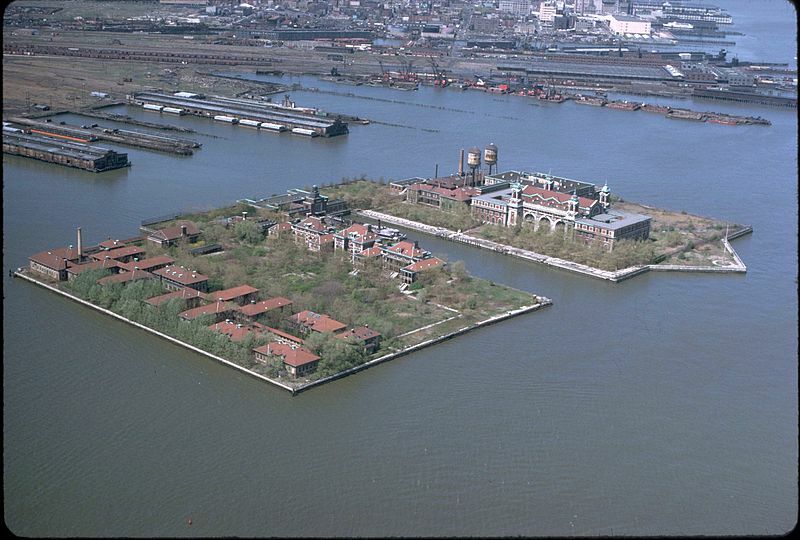 Johnson’s Ellis Island would have included stabilized ruins of the immigration building and the hospital, which would have been left in a state of semi-development to promote contemplation. These would have been accompanied by a 130 foot spiral monument visible from Brooklyn and Manhattan. Johnson said at the time of the unveiling that “I wanted to call attention to the island without insulting the Statue of Liberty” just across the water. The circular structure would have stood twenty feet shorter than the base of Lady Liberty. It is an intriguing concept that of course was never carried out, probably because it would have cost twice as much as Congress appropriated for the undertaking. The island remained as it was for another decade until the Park Service began giving tours on a limited basis starting Memorial Day weekend 1976, six weeks before the Bicentennial. Finally in the 1980s renovations began in earnest and in September 1990 the museum as we know it opened its doors. Philip Johnson’s idea is an intriguing “what if” and something to contemplate the next time one is at Ellis Island, or any historical site you happen to visit. (Update: The Intrepid will fly this July after all. Macy’s–the folks who put on the annual Thanksgiving Day parade–are donating 50,000 cubic feet of helium to the Genesee Country Village & Museum to get the project off the ground–literally. 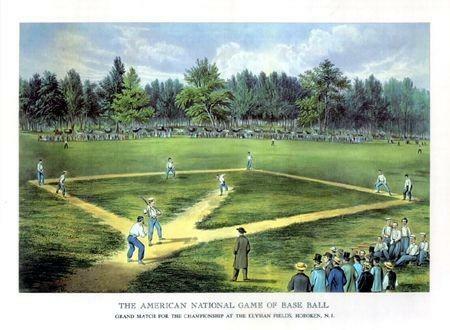 This past Saturday I was walking back to the office at Governors Island to get my lunch when I came across the ballgame being played by the New York Gothams, a group of enthusiasts who play the National Pastime according to mid-nineteenth century rules. The New York Times has more here, including some cool pics. 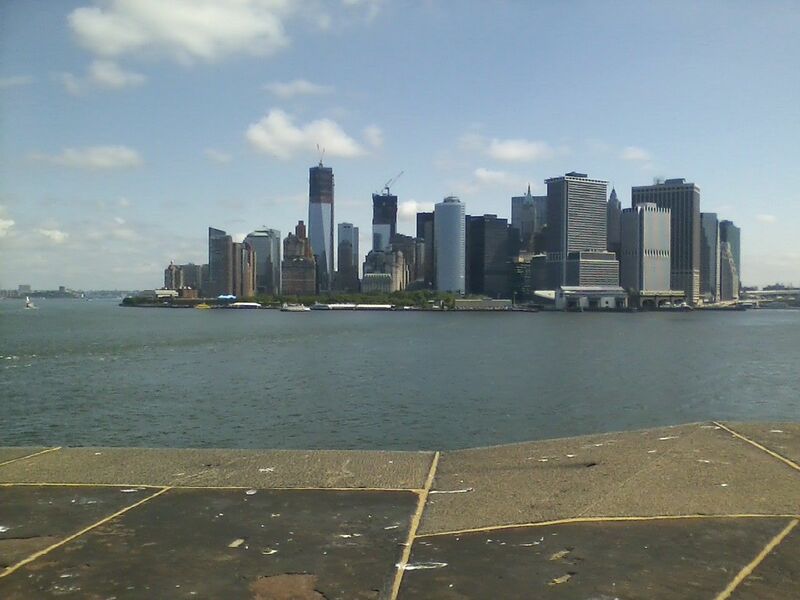 Note the Manhattan skyline in the background. And yes, the day really was that beautiful. Make Governors Island part of your summer. Posted by Keith Muchowski in Heritage tourism, Washington, D.C.
Today is the 40th anniversary of the Watergate break-in. I have seen surprisingly little about this in the news. I suppose a reason is that it was never the break-in, but the cover-up, that was considered the big crime. It could be, too, that the Watergate scandal has reached that intermediary stage where it is no longer a current event and not quite yet history. Demographically, Washington has changed a great deal in the past several decades as well. Gentrification has brought many younger people–young twenty- and thirty-somethings–who are too busy building their careers to think about it. We know the least about the decade just before and the decade after we are born. 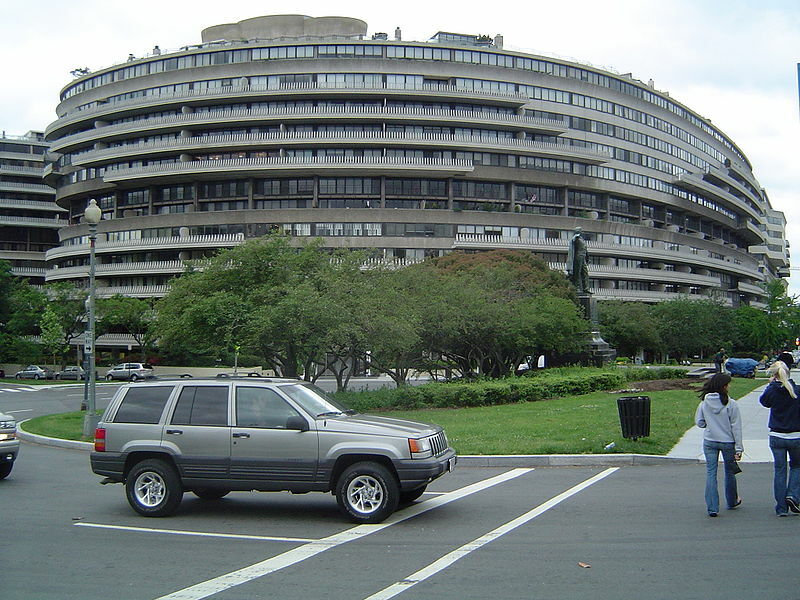 The area around the Watergate Building Complex is off the beaten path and visited by very few tourists taking in the sights. We ourselves go to DC fairly frequently and I must say we have never gone out of our way to see it. Cultural Tourism DC is planning to install signage in the neighborhood. I wonder if the 50th anniversary of this event will be a bigger deal. We’ll know just a short decade from now. Americans understood the significance of the Civil War even as it was unfolding and were anxious to record it for posterity. This was the most literate generation of Americans up until this time; during the war they had read newspapers such as the New York Herald and periodicals such as Harper’s Weekly and Frank Leslie’s Illustrated News voraciously. They also had written reams of letters to and from the front. Now they turned their attention to the second draft of history. Seemingly every regiment had to publish its official history of where it was and what it did during the War of the Rebellion. McKenzie’s 13th New York published two monographs, its official history and an account of its 1879 trip to Canada in honor of Queen Victoria’s 60th birthday. In the 1880s The Century Magazine published nearly one hundred battlefield accounts written by Union and Confederate officers that proved wildly popular with Northerners and Southerners alike. Inevitably the magazine published a multi volume hardcover edition with expanded content which sold over 75,000 copies. The most successful publishing endeavor was Grant’s Memoirs, published in 1885 by Mark Twain. Justifiably considered a masterpiece of American letters, Grant’s biography captivated Americans and restored the general’s family fortune. At the time of Grant’s death in 1885 interest in the Civil War was never higher. Tensions between the sections were starting to cool. The war had been over twenty years and the veterans, now in full middle age, were increasingly aware of their own mortality and their place in history. Civil War veterans, especially Union veterans, were an exceptionally powerful block. Organizations such as the Grand Army of the Republic (GAR) were part fraternal club, part political action group protecting veterans’ interests, especially pension benefits. The GAR, however, was not just about camaraderie and securing privileges; its members took their role as defenders of the Union seriously. They were equally serious about preserving that memory for future generations The men of the 13th New York were part of this phenomenon. 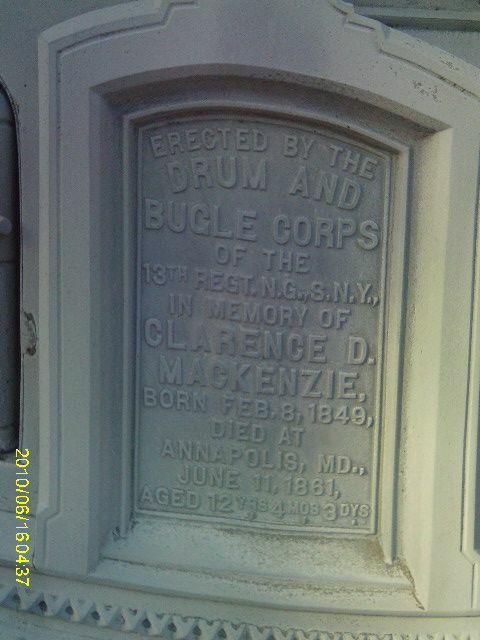 When the GAR formed in 1866 the men named Camp 399 named themselves the Clarence D. McKenzie Post. A nondescript grave in a common field, even a common field in one of the country’s most prestigious garden cemeteries, was no place for the individual who had become the human face of the regiment and its sacrifices. Memorialization was an increasing phenomenon. The monuments and memorials that veterans literally built to themselves were quite consciously an attempt to stand in their place after they were gone. Almost immediately after its founding in 1879, the 13th Regiment Veteran Association began raising funds for an appropriate memorial. 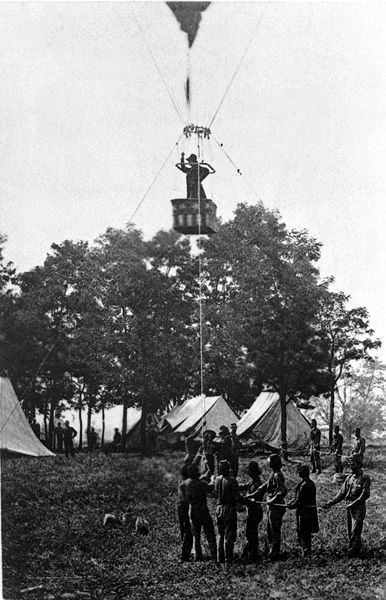 Commemorating individual soldiers was increasingly common in the late Victorian America. Advertisements for the construction and maintenance of statuary were ubiquitous in regimental histories (including the 13th’s) and in the magazines geared toward veterans and their families. 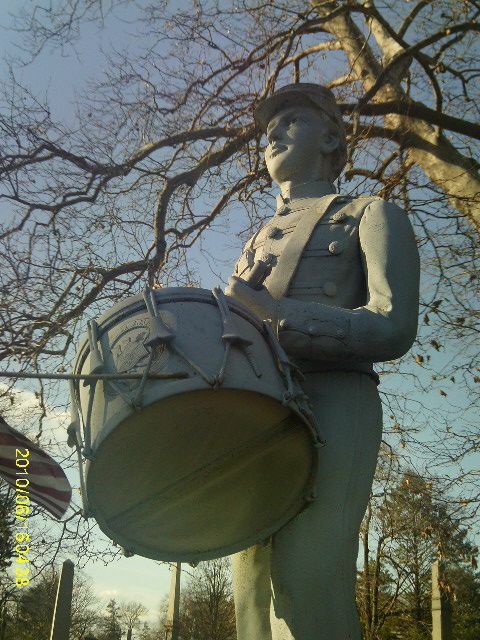 The Monumental Bronze Company of Bridgeport, Connecticut advertised a generic soldier for $450 in 1880s dollars; for an additional $150 the likeness of the specific individual could be had. The 13th chose the latter option. On November 25, 1886, a quarter century after Clarence McKenzie was senselessly killed in an Annapolis encampment, a contingent of veterans paraded from the Thirteenth Armory down Flatbush to Green-Wood. As the rain fell heavily John B. Woodward, once an officer in the 13th and now a prominent Brooklynite, gave the oration. Speechmaking was considered a show in the years before electronic entertainment, with audience expecting a combination of entertainment, humor, and moral uplift. Woodward did not disappoint. After, the drape was pulled and the monument to the Little Drummer Boy unveiled. I turned forty-five today and must say it feels pretty good. My most memorable birthdays so far have been eighteen, the day I also graduated from high school; twenty-eight, when I finally slayed some ghosts and was making preparations to move forward and on to grad school; and thirty, when I graduated and moved to New York City. Since my fortieth birthday I have received tenure at my institution, gotten married, and witnessed the passing of both my father and father-in-law. Things move on. I have felt middle-aged for some time now–if I were truly at the halfway point that would mean reaching the finish line at ninety–but I feel this birthday firmly places me in the this age group. I have no desire to relive my twenties, and certainly not my teens. At the same time I feel like I am a young middle age, not quite ready or accomplished enough for fifty. I have stronger sense of who I am than I did five years ago. I also have a better sense of where I am going intellectually and otherwise. Overall, not a bad place to be. The hagiography was immediate. First came the viewing in Annapolis. After the body was returned to his parents home there were several additional weeks of observances by clergy, military and civil officials. Then came the funeral attended by the children of Public School Number 8, Sunday Schoolers, friends, neighbors, and thousands of others. Reverend Guion emphasized the justness of the Union cause, the traitors responsible for the war, and the importance of putting down the rebellion. Next came Reverend McClelland. In the finest Victorian oratory McClelland reminded the audience of how, “We loved the boy for his sweet and genial disposition, for the noble patriotism that fired even his young bosom.” He mentioned the Bible, its Moroccan leather, gilt edges, and brass clasp. It had been made in England and purchased, with another, in Manhattan years earlier. It was almost providential, he averred, that he did not give the Bibles away after initially purchasing them, but had waited for a proper time, the moment coming two years later when the little drummer boy left with his regiment. Finally, almost anti-climactically, the boy was taken to the cemetery and buried in a modest grave. The reason for such sympathy was the timing. 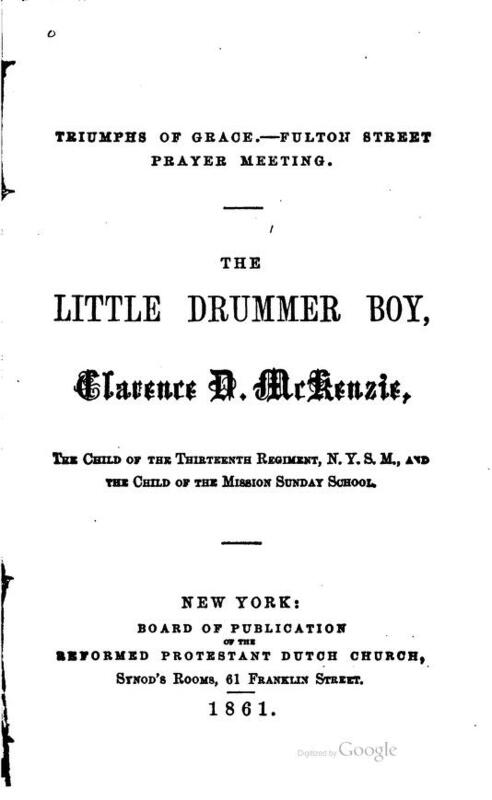 If McKenzie had died six weeks later no one would have noticed, and certainly the would not have turned out by the thousands for his funeral or written books in his honor. Thee country no longer had the luxury. Seven days after the funeral the Battle of Bull Run took place in Virginia. There had began some skirmishes, even minor battles, prior to First Manassas but nothing on the scale of what took place on the the shores of Bull Run creek on July 21st. All told 5,000 men, North and South, were killed, missing, or wounded that day. And the casualties continued from there. The following spring came the even bloodier Battle of Shiloh in Tennessee, soon to be eclipsed by the even the even more ghastly Seven Days’ Battles in Virginia. Death was now so plentiful that massed, ritualized grieving for any one individual was not a luxury. All officers could do was bury the dead on the battlefields where they fell or, perhaps, in a local cemetery. Eventually even this proved insufficient. 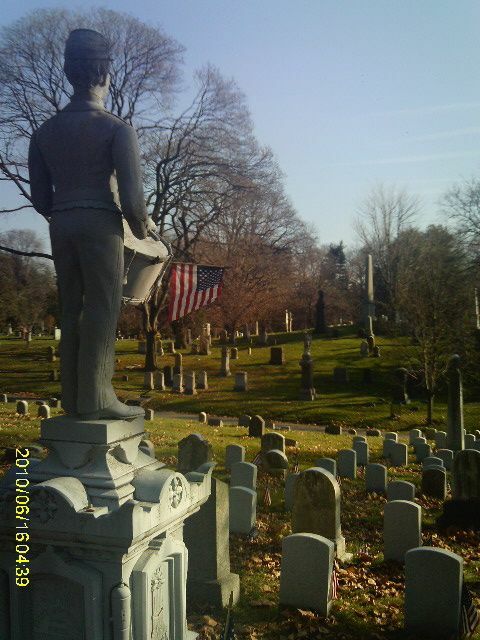 On July 17, 1862 Lincoln signed legislation creating the national cemeteries. By the end of the year there were fourteen facilities across the nation, including one in Brooklyn. When the last army surrendered in May 1865 there were more cemeteries, and they would be needed. Four full years after the accidental death of Clarence McKenzie 750,000 other Americans had also been killed.